Forty years ago, the U.S. Cross Country Championships came to Anchorage amid a deep freeze that sent the mercury below zero. Toes froze, fingers froze — and maybe a few brains did too. That would explain why some Alaskans remember the races, but not whether they competed in them or not. "I think I raced," said 76-year-old Tom Nelson of Anchorage, "but I wouldn't have done very well. I'd only been racing for five or six years then." Nelson on Sunday brought a race bib from the 1978 series to Kincaid Park, where he and others who either skied or worked at the race series swapped stories. Memories were fuzzy regarding results. Jim Renkert remembered that Bob Treadwell, a New Hampshire skier on the U.S. Ski Team, won one of the races. A few people correctly speculated that Alison Owen, the great Alaska Methodist University skier, won a race or two. But mostly they remembered the cold. And the beer. 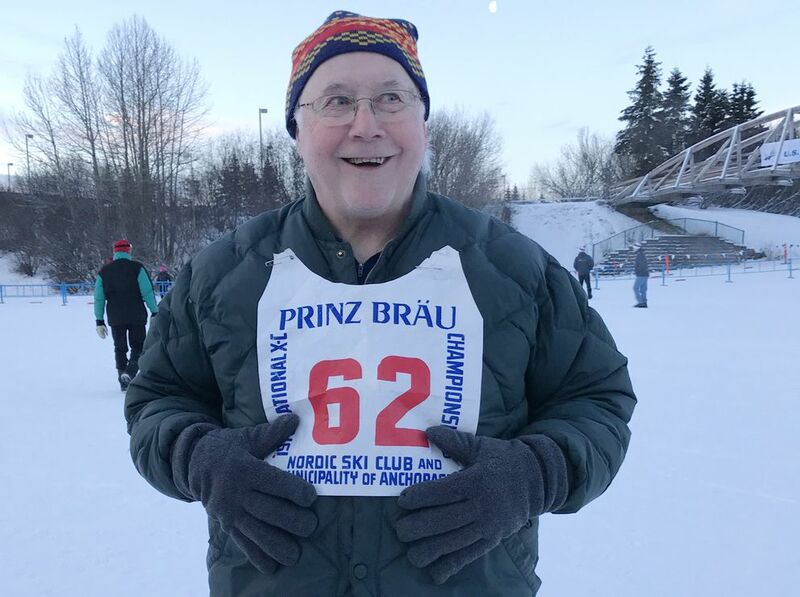 Prinz Brau, a beer brewed in Anchorage back then in a Huffman-area building where the Anchorage School District now makes school lunches, was the race sponsor. Its name was on race bibs, and its product was widely sampled. "There were copious amounts of the sponsor's product at the awards banquet, and the drinking age back then was 18," Anchorage skier Tim Kelley, who at the time raced for the University of Vermont and the U.S. Ski Team, said by email. "I remember a bunch of us decided to take bottles of Prinz Brau back to Vermont so our friends could try this exotic Alaskan beer. But when we got to the airport we were told that we could not bring glass bottles of beer in our baggage. Being frugal New Englanders, we made sure none of the beer was wasted. And we all ended up sleeping very well on the flight back East." Renkert, who also was in college then, recalled the headline from a Sports Illustrated story about the championships: "Land of the Ice-Cold Eyeballs." 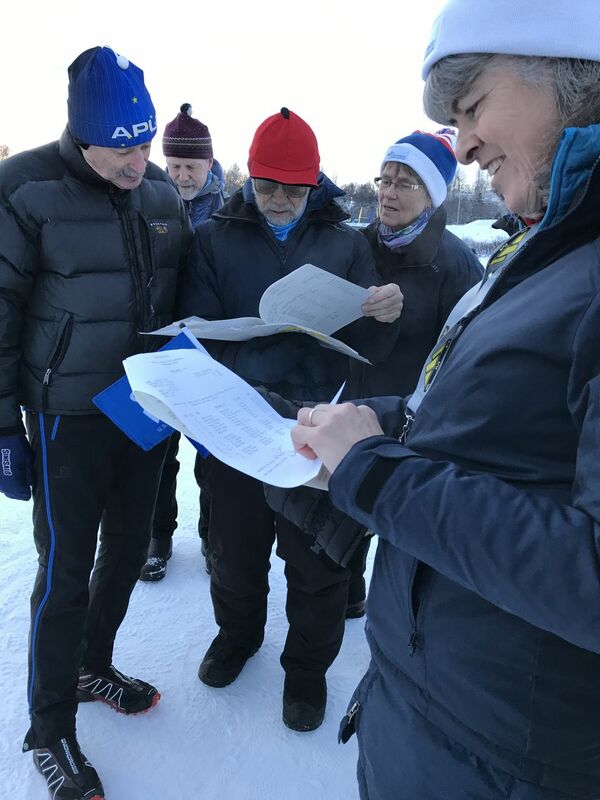 Tom Corbin, the former Service High ski coach, shared vivid memories of a 50-kilometer race held in sub-zero temperatures. The race started and ended as what is popularly known as Beer Can Lake but is officially known as Little Campbell Lake. "I froze my fingers for the second time in the 50K," Corbin said. "I hallucinated all the way down the S turns coming (back to the lake)." 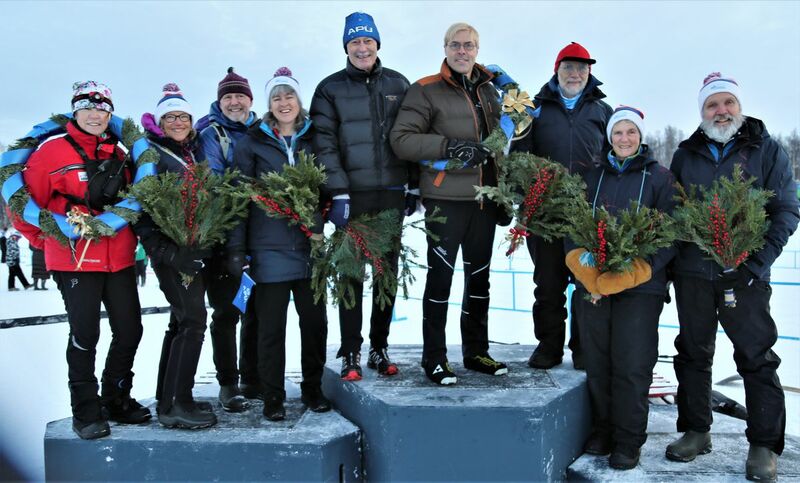 The relay races drew a crowd estimated at 3,000 to Russian Jack Springs Park, where the blockbuster Alaska team of Owen, Lynn Spencer and Betsy Haines won the women's race. Other races were at Kincaid, which was just emerging as a cross-country venue. There was no bridge, so volunteers shoveled snow onto the road to accommodate the race loops. The Nike missile site, where the chalet and stadium are now, was still active. "There was a sign that said 'Deadly fire authorized,' '' Renkert said. No skiing was allowed near the missile site, Kelley said: "There was double chain-link fencing and big mercury vapor spotlights and guard towers and guard dogs and lots of missiles." The Sports Illustrated story described Kincaid Park as "a bleak yet beautiful wilderness area outside Anchorage where the trails were surprisingly impressive." Today, parts of the park can still feel like wilderness, but it abuts a neighborhood and never lacks for visitors. And the trails remain impressive — although not surprisingly so, given how often Kincaid hosts national competitions. Renkert said the 1978 races helped Anchorage envision what was to come at the park — the extensive trail system, the chalet, the lighted loops, the big-screen scoreboard, the tunnel into the stadium, the snow-making system, all of those things. Much has changed at Kincaid Park in 40 years, but at least one thing remains constant: John Mucha. 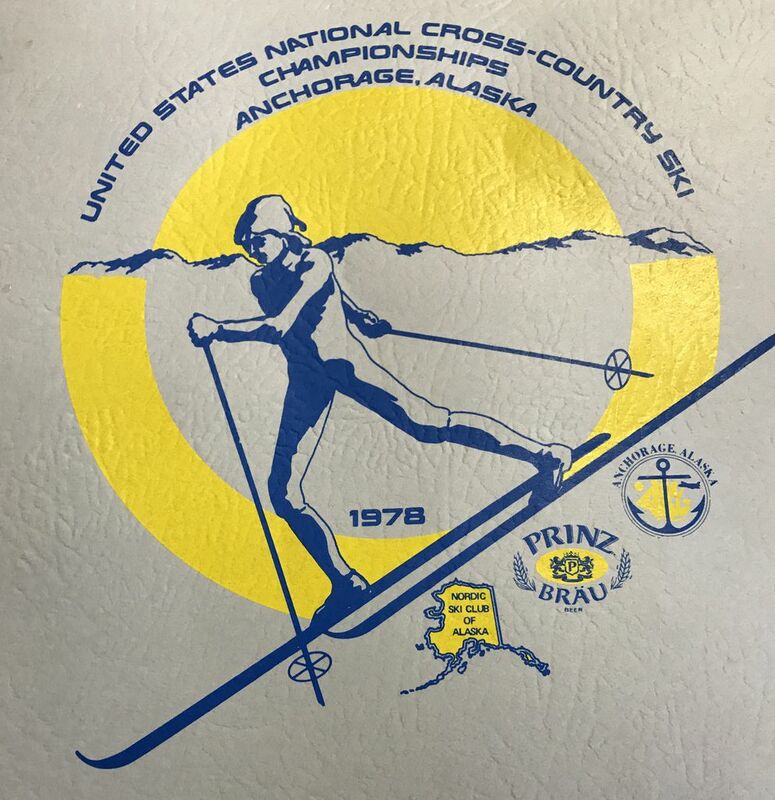 The Anchorage man skied at the 1978 races, when he was 19. And he's skiing at the 2018 races, at age 59. "I love the whole experience of ski racing," said Mucha, who finished last in both Sunday's 30K and Wednesday's 10K. "It's fun to be in the wax room with everyone." Does he get much reaction from competitors 40 years his junior?